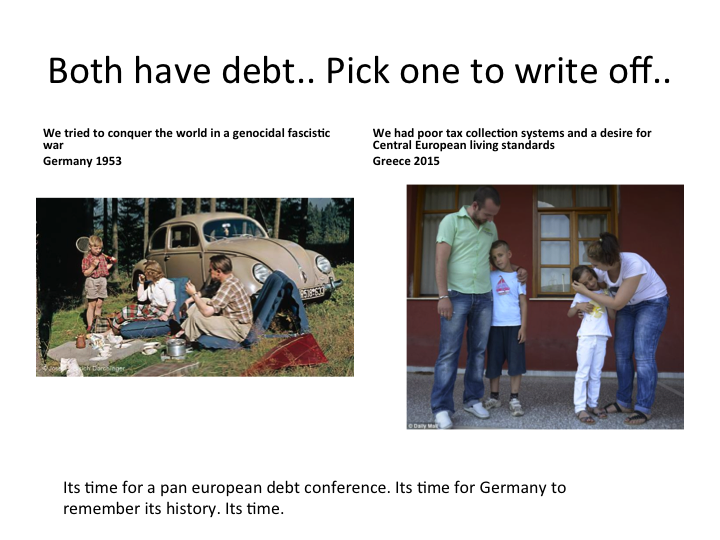 In 1953 Germany got a debt writeoff at the London Debt Conference. What was good for them is more than good for its European community colleagues. 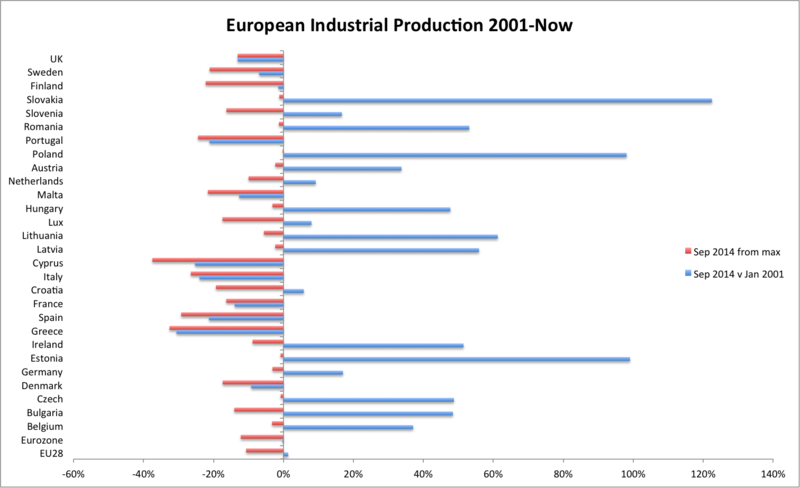 This entry was posted in Blogpost and tagged Europe, industrial production on January 21, 2015 by brianmlucey. The Best Little Country In …Which to Be At Risk of Poverty. 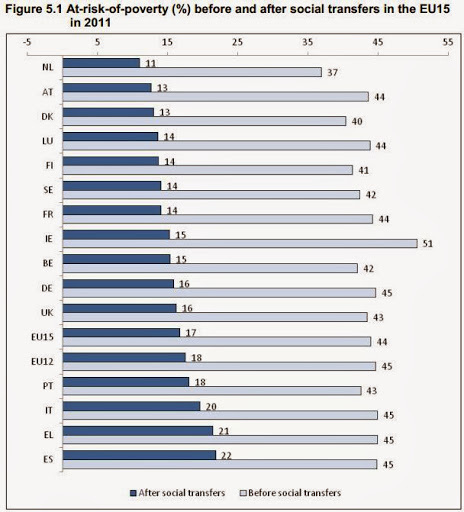 The at-risk-of-poverty rate before social transfers is the share of persons with an equivalised disposable income, before social transfers, below the risk-of-poverty threshold, which is set at 60% of the national median equivalised disposable income (after social transfers). Think of it as just at risk of poverty. Yes.. we are number one. Without state transfers fully 1/2 of the population would be at risk of poverty. But it gets more stark…look over time. We have seen the largest increase in AROP since 2005. 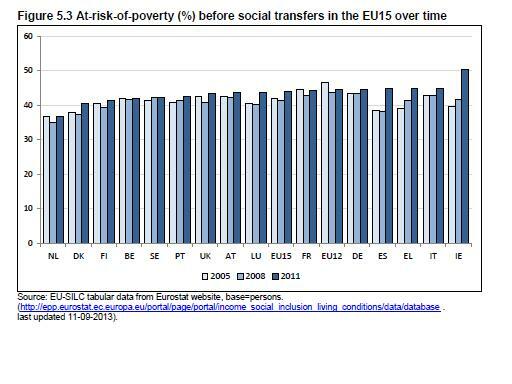 This entry was posted in Blogpost and tagged Europe, ireland, poverty, risk on December 12, 2013 by brianmlucey. There is a great book on marketing titled “the long tail” , which stresses that instead of trying to hit millions of customers at once its perhaps better to do millions of niches. Replete with examples it was and remains a deserved hit. The long tail refers to the distribution of something – a large bulk at one end quickly trailing off to smaller numbers but which go on for a long time. Another word for this is skewness. In very many skewed distributions it is common for the total amount in the long tail to be equal to or greater than the amount in the bulk. Another way of thinking of this is a power law. Many many things have been found to follow power laws – terrorism, population of cities, bibliometrics, income distribution… theres no reason to think Irish bank losses are different. The long tail approach is worth considering as we move into the sixth year of this crisis. Having dealt with the massive mess of the commercial property and developers loans via hiving them off to NAMA (which has yet to “get credit flowing” as its cheerleaders in the then government and some still prominent stockbrokers trumpeted) , the long tail of the mortgage and SME loans continue to erode the banks. We are moving down the tail with the average loss getting smaller but there are an awful lot of them. Today I spoke to a SME owner who runs a small distribution business. He had settled with a bank for a loan taken out in 2006 which resulted in the bank taking a loss of just under €1m. The business is still going, much reduced but “ticking over nicely”. This is as good as it gets – a viable business remains. Many many SME loans are for larger amounts and the banks will take a larger hit as there is nothing left. 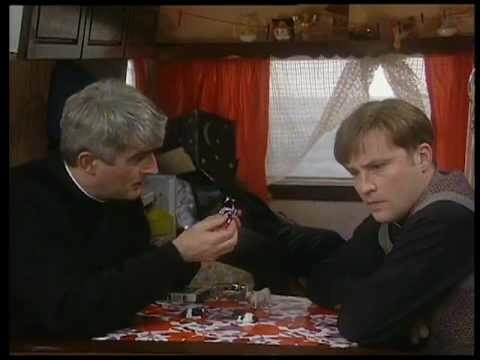 I think of someone I know who purchased a house in 2006 for €450k, interest only of course, in a not very fashionable holiday area, where similar homes are selling at €150k on a good day. 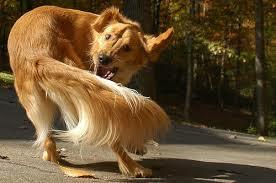 These are the long tail and they are wagging the dogs of our banks as the banks chase them round in a circle. At present Irish banks are well capitalized. Some might say that in a classic overreaction to the lack of adequate capital buffers in the past they are over capitalized. Bank capital is a two edged sword. On the one hand the more capital they have the greater a buffer exists to absorb losses. On the other, as capital is measured as a percentage of assets the more capital is required then all things considered the smaller will be the assets. A bank that has a 10% capital ratio will be able to make more loans (assets) than one that is required to hold a 15% ratio. The ECB has recently announced that it will conduct another round of stress tests. These are required, in essence, so that the final set of capital injections will be made prior to the ECB taking over full control of regulation. The political reality is that this step, a necessary requirement for a proper banking union, will require that individual states make or supervise any capital injections. In a banking union this will be the responsibility of the union, and thus the German taxpayer might be on the hook. But not this last time. We have known for some time that the Irish banks will require additional capital. The state of the mortgage book is bad but the state of the SME loan book is also dire. 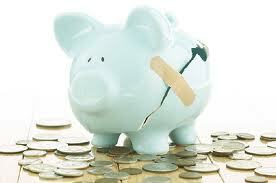 Earlier this year we found out that 50% of the SME loan book was in distress. There is a total of €70b in SME lending, of which an astounding €30b is still outstanding to real estate. A multibillion loss is an absolute certainty. On the mortgages we have similar. The question that should raise its head is : who bears these losses. Traditionally the order of losses was deemed to be shareholders -> junior bondholders -> deposits and senior bonds. The taxpayer might then step in and recapitalize if the bank was deemed to be needed. So in the Irish case 2008 saw some but not all junior bondholders and almost all equity destroyed, but the system balked at that and so in stepped Paddy with his chequebook. And we know how that ended. We saw in Cyrpus, and indeed have seen in the liquidation of IBRC that depositors can and in future will be “bailed in”. This is fine and dandy if all other sources of capital have been burned through. The problem is that recent statements by Mario Draghi suggest that bondholders might be spared in future, for fear that once burned they might not return. In other words the sovereign would be required to make a decision as to whether they would absorb losses or instead force bailins on depositors. There is zero willingness for the Irish state to add more taxpayer money into the banks. Thus the question becomes: do the banks hae sufficient buffers in place to absorb losses before the question of depositors comes into play? On a macro level they are good. AIB has shareholders funds of c 10b, BOI of 8b and PTSB 2.4b. In the case of PTSB and AIB much of these shareholder funds are in fact state funds, so any erosion of these is an erosion of taxpayer funds. The problem is that as we noted they are required to hold funds at a certain level. This level is higher than the European requirements. Thus as losses get booked the banks will have to either raise additional funds. This, in sufficient amounts, is I submit unlikely. While they have had some success in raising limited amounts these have either been expensive or have required significant security. In addition, the banks face rollovers of existing issued debt. 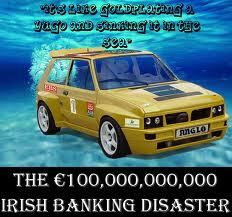 Bank of Ireland will need to roll over or pay off bonds of 9.5b in 2014-2015, AIB 7.5b and PTSB 5b n the same period. This will tax them significantly. If they face a requirement to otherwise increase capital from losses that will make the job that much more difficult. A large part of the outstanding bonds are senior notes, some 7b. A large part of the remaining is covered or asset backed. Only some 5b or so across the banks, mainly in Bank of Ireland, are unsecured or subordinated. 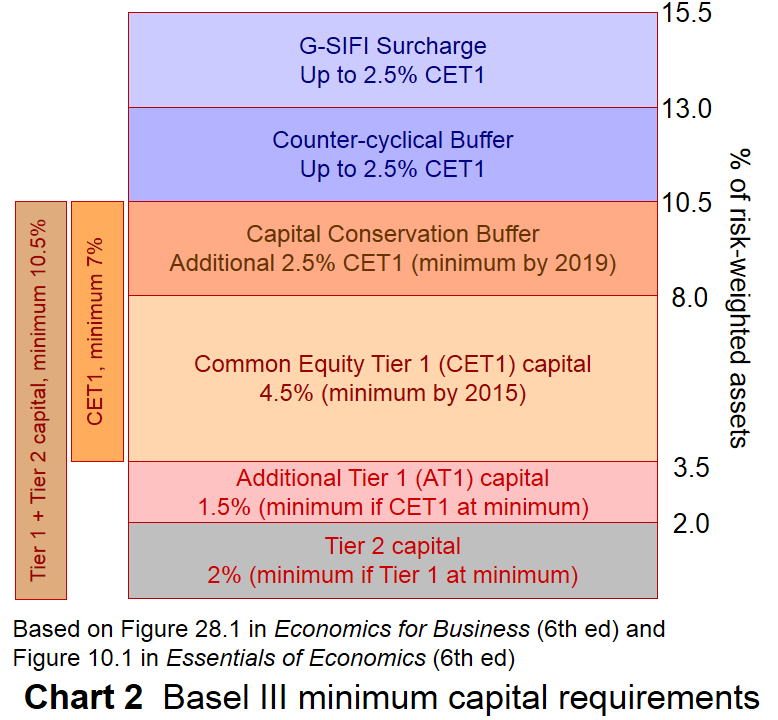 Bank of Ireland has the largest “burnable” buffer but is the one least likely to require it. AIB has very little unsecured debt and less than 4b senior debt. We have seen that even the mention of senior debt being burned, where legally possible, has caused significant negative market reaction. Thus where there is no taxpayer backstop and either no bondholders or no willingness to burn them, inevitably deposits must come into play. In that context depositors should seek a higher rate than they are at present getting. 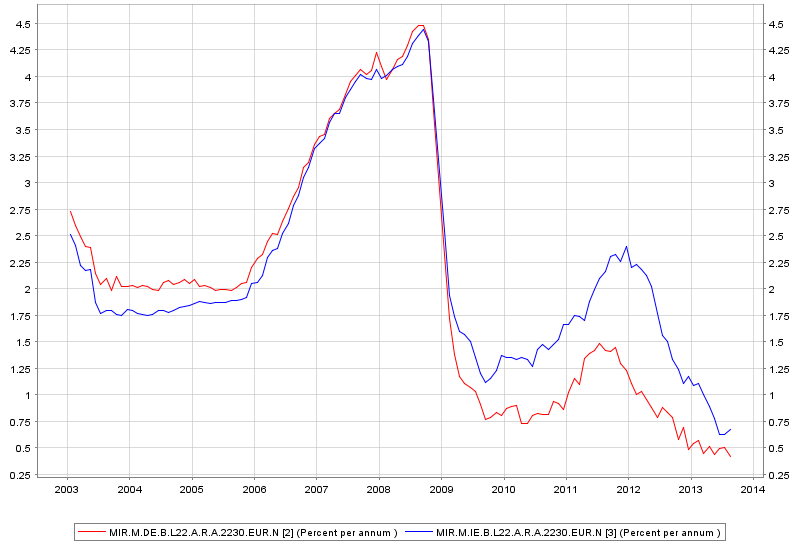 The chart shows the deposit rate on new deposits for an agreed maturity, Ireland v Germany. Deposits that were ten years ago seen as close to riskless as it is possible to be are no longer so perceived. The difference between Irish and German deposits is not, I suggest, sufficient to reward for the relative risk differential. Although small, the risk of depositor bailin in Ireland is many many times larger than that in Germany. These risks are the worst sort- small probability large outcome risk. It is time that the banks begun to remunerate depositors appropriately for the risk, small that it is, that they are being asked to bear. We need to move away from a banking system that is dependent in large part on loan capital towards one that is dependent on deposits. In fact, in the last week we have seen the situation worsen. The increase in DIRT means that deposits are now paying less than the already paltry levels. Combined with the loss of ACC , closing after 86 years, this further erodes competition, even if ACC was a small player. Expect pressure on interest rates to be downward, relatively speaking, on deposits. Which are now risk capital and in the firing line. 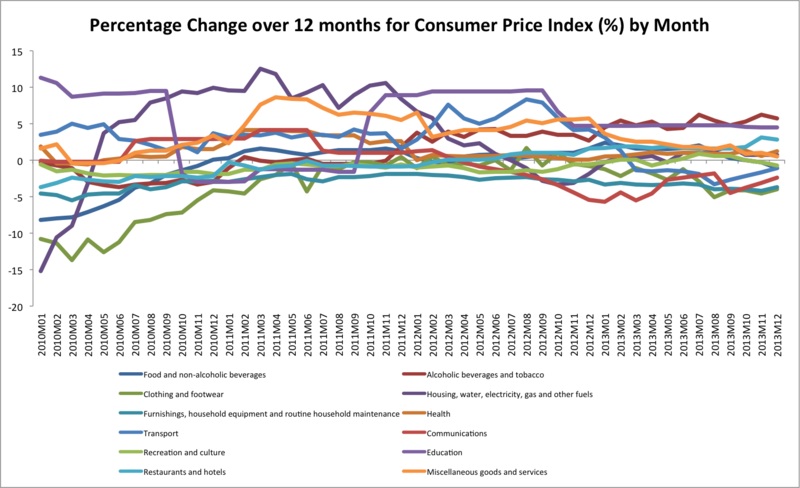 This entry was posted in Blogpost, Journalism and tagged Bank of Ireland, banking, banks, competitveness, domestic economy, Europe, losses, SME on October 26, 2013 by brianmlucey.